A few weeks ago, Disney Parks announced that their highly-anticipated Pandora World of Avatar ride will finally open its doors at Disney's Animal Kingdom on May 27. Today we have three new videos which give fans a sneak peek at various aspects of this park, including the Na'vi River Journey, Avatar: Flight of Passage and much more. Disney Parks has also released a behind-the-scenes video with Disney Imagineer Joe Rodhe, who gives us an extended look at this immersive adventure and reveals how this park is a perfect fit for Disney's Animal Kingdom. Joe Rohde, who played a major part in the original development for Disney's Animal Kingdom in the 1990s revealed that the themes in both the film Avatar and the values the designers of Disney's Animal Kingdom had in mind when planning the park are the same. Both the film and this attraction emphasize the intrinsic value of nature. exploring the idea that guests can be transformed through adventure. They hope this attraction inspires guests to understand and respect the nature that exists in our world. The second video that debuted earlier today on Disney Parks YouTube, showcases the family friendly Na'vi River Journey, which will send guests through a bioluminescent rainforest. Their journey will end in an unforgettable encounter with a Na'vi Shaman, a figure who has a deep connection to the life force of Pandora. Guests will also be able to dine at Satu'li Canteen, grab a drink at Pongu Pongu or shop for Na'vi cultural items, toys, science kits, and more at Windtraders. The third video highlights other areas of this attraction including Avatar Flight of Passage, which will offer guests the jaw-dropping experience of exploring the world of Pandora atop a Banshee, and the centerpiece of Avatar Land, the Floating Mountains. This area will contain wooden bridges hand constructed by the Na'vi themselves. There are long and winding rivers snaking through the dense environment. And you can also see the luminescent plant life spread throughout the forests. The mountains themselves hover over a giant river. Pandora The World of Avatar will complete the transformation of Disney's Animal Kingdom. 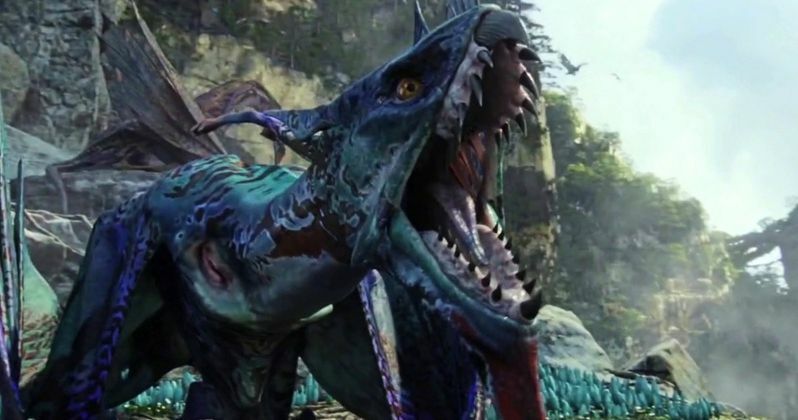 Disney in collaboration with filmmaker James Cameron and Lightstorm Entertainment is bringing to life the mythical world of Pandora, inspired by Cameron's Avatar, at Disney's Animal Kingdom theme park. The awe-inspiring land of floating mountains, bioluminescent rainforests and soaring Banshees will give guests a transformational experience they will never forget. Take a look at these sneak peek videos to get ready to visit Pandora The World of Avatar at Disney's Animal Kingdom this summer.